Easy to cut, trim, and paint to fit virtually any dÃ©cor and application layout. Available in 6 ft lengths and in colors black, gray, and white. 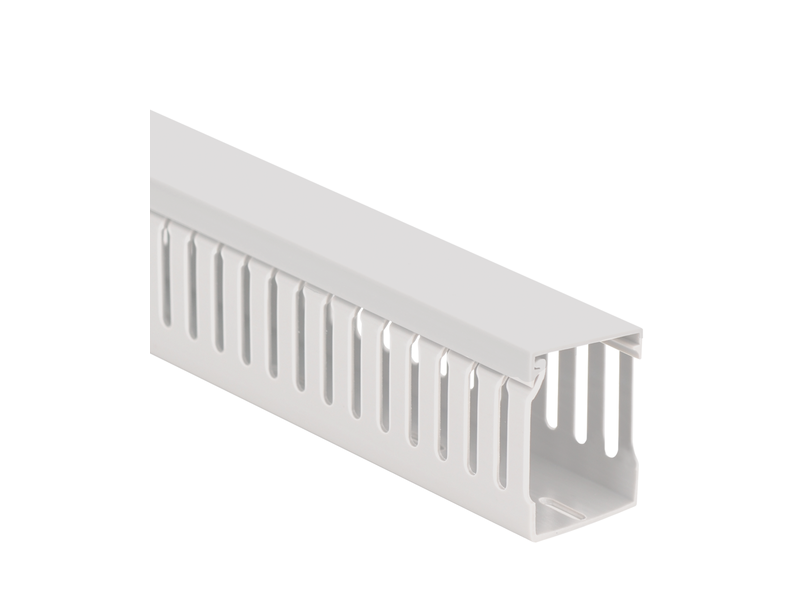 For slotted duct, there are 109 pairs of slots with each slot of pitch 0.315 per each 6 ft section.